Cabin Fever by Terry Doughty. 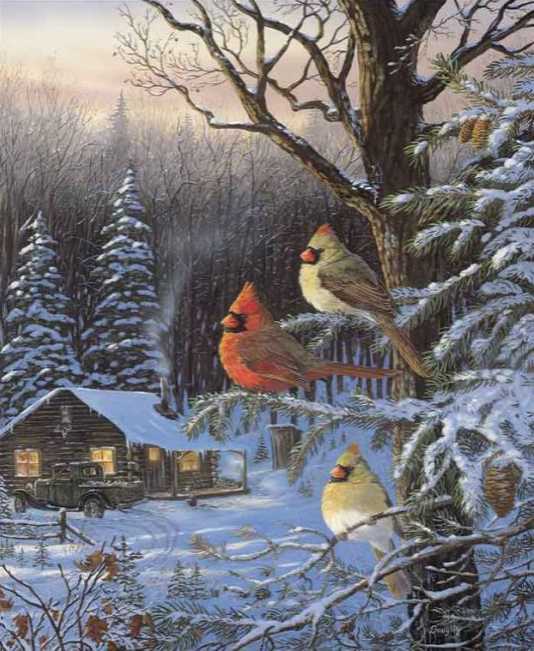 A set of cardinals perched on pine branches near a winter cabin. This picture is a gallery canvas wrap. We are a wholesale art manufacturer and supplier to the trade only.